I was super excited to get these matching bottles for me and my daughter. When we got these in the mail they were perfect. It's funny because I am a bottle collector and I love bottles. I feel that it encourages me to drink more water. My daughter loves how we have matching we don't have many things that match but a few things and I think it's perfect and would love to get more things matching. I feel it makes her feel just like Mommy. The quality of the bottles are really good pretty hard plastic and I love that these are pretty spill proof besides the button you push to open it there is a silver lock around the top that keeps everything locked in. Convenient to Use: Our snap top lid ensures that these bottles will be Leak-proof. No Spillage at all! Lightweight & Shatterproof ! Perfect for Kids! 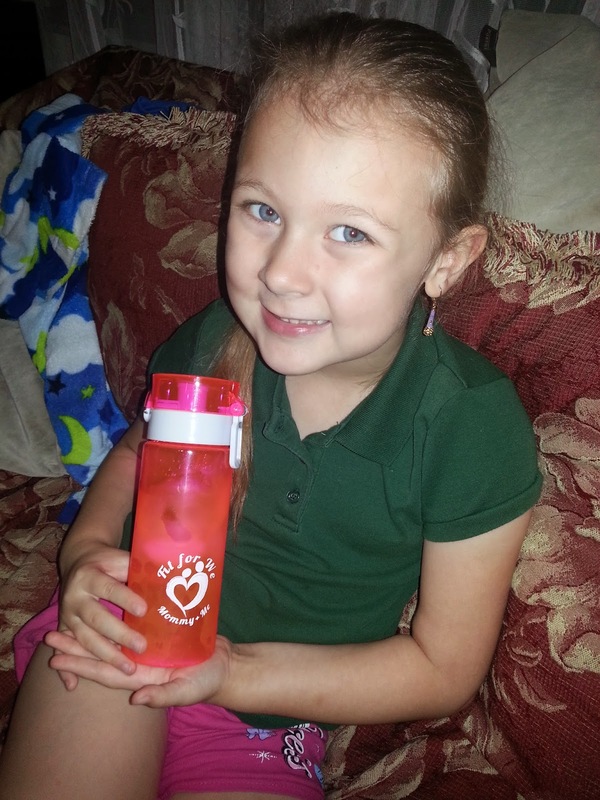 If you are approved you will receive a Matching Set of Water Bottles for Mommy and Me (Kid) for FREE! I am a single Mom trying to build a business online so I can stay home with my child. I am always working and missing some great years of my daughter's life. I am looking for reviews on what you like about my Mommy + Me product as soon as possible.